$1000 REWARD FOR MISSING DOG. 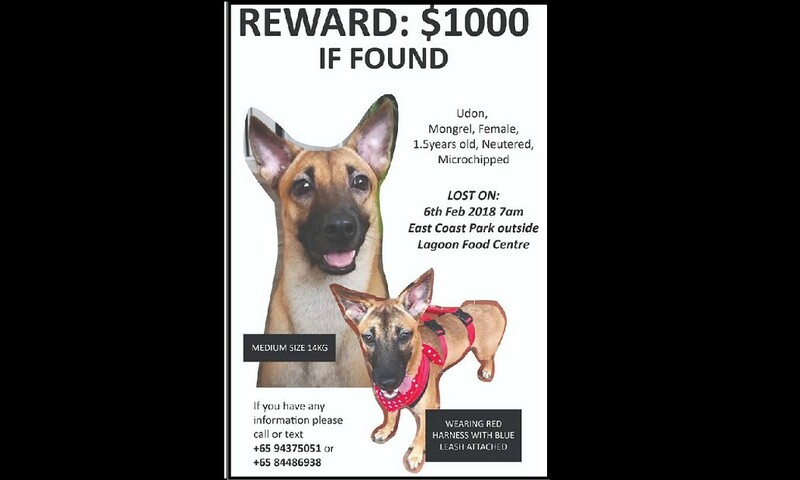 LAST SEEN ALONG EAST COAST PARK! You are at:Home»Caught In The Act»$1000 REWARD FOR MISSING DOG. LAST SEEN ALONG EAST COAST PARK! we’ll be conducting a mass search tomorrow (7/3/2018) from 3-5pm. it has been a month since udon went missing, with only 2 confirmed sightings and many are very worried about her. if you’re able to come down to east coast park to help us with our search, please do drop me a message. Previous ArticleROCKMELONS WITH DEADLY LISTERIOSIS WERE SOLD IN SHENG SIONG!! !